Who's a cute lil' killer? 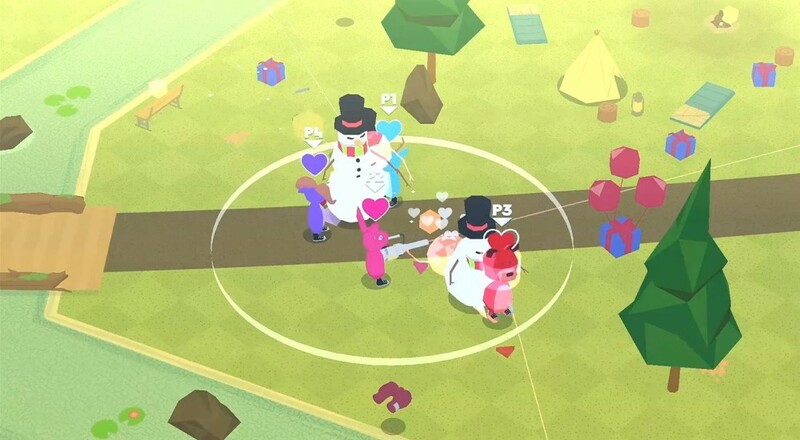 Neighborhorde, a forthcoming PC, PlayStation 4, and Xbox One title featuring "videogame-like gameplay" and "cute low-poly animal kids", will be available for you to play and also fawn over on June 6th of this year. Before you know it, you'll be blasting enemy robots away with your adorable widdle ray-guns. The game features local co-op for up to four players, with AI available to fill in any available slots. The goal of each play session is to survive consecutive nights with your anthropomorphic pals, unlocking weapons and superpowers along the way. You'll face off against a plethora of classic baddies, like, you know, lunch ladies and Abraham Lincoln. To make sure you don't get too full of your lil' self, the enemies in Neighborhorde scale with your upgraded weapons and abilities. So yeah, you may have a ton of dope bottle rockets, but you're gonna have to stay on your toes if you want to keep from getting crushed by a giant foot. To be honest, we haven't heard a lot about this game since its announcement a couple years ago, but hey, it's five bucks (four, if you pre-order). Who could resist controlling a lovable murder machine for just a few dollars? Page created in 2.2808 seconds.